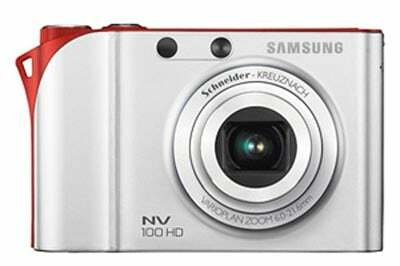 Samsung has released details of their latest compact digital camera, the Samsung NV100 HD. This new compact camera feature a massive 14.7 megapixel resolution, a 3 inch touchscreen and a 3.6 x Schneider Kreuznach Zoom Lens. The Samsung NV100 HD also features face recognition, smile and blink detection. 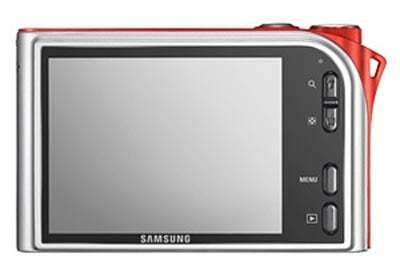 The 1/1.72 inch CCD in the Samsung NV100 HD can record images up to 4,384 x 3,288 pixels and it can record HD video with a resolution of 720p at 30 FPS. There is also going to be an optional docking station available with the Samsung NV100 HD which features a built in HDMI port so you can display photos in HD on your LCD or HDMI monitor. There is no word on pricing as yet, and the Samsung NV100 HD is expect to go on sale in August.